Walker & Dunlop, Inc. (NYSE: WD) (the “Company”) announced today that Gabriel Weinert, senior vice president in the Company’s Capital Markets group, has led his team in structuring a total of $109,342,593 in loans and equity for several land and multifamily development properties across California, Louisiana, and Texas. The Capital Markets team is based in Los Angeles and specializes in loan origination, structured financing, and co-investment opportunities for all property types, including development projects. 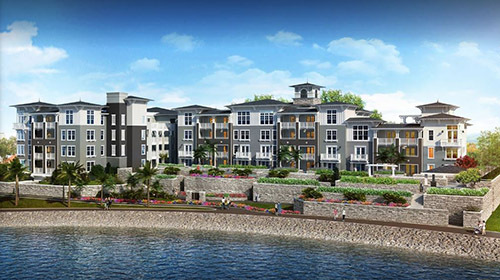 Nine of the 11 properties within the portfolio are located in California and property types include conventional multifamily, and multifamily development. While every transaction in the portfolio utilized a capital markets execution, each property was unique and required a tailored finance solution from a different capital provider. The team’s deep understanding of the capital stack and extensive network of lenders allowed them to meet each of their clients’ equity, bridge, and construction loan needs. Walker & Dunlop, a leader in the conventional multifamily lending space, ranks within the top five largest multifamily lenders with Fannie Mae, Freddie Mac, and HUD. The Company’s Capital Markets brokers specialize in placing debt via non-Agency lending sources as well, having completed over $1.4 billion in loan volume for multifamily properties in the first half of 2017. For more information on Walker & Dunlop’s financing options, visit our newly redesigned website.